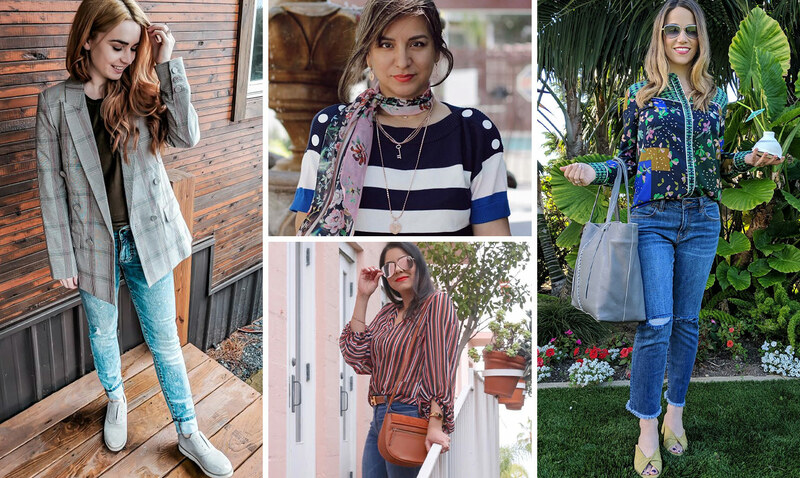 It’s wedding season which means, after months of having your refrigerator covered with invitations and “save the dates,” the time has finally come to start preparing your ideas for wedding outfits. 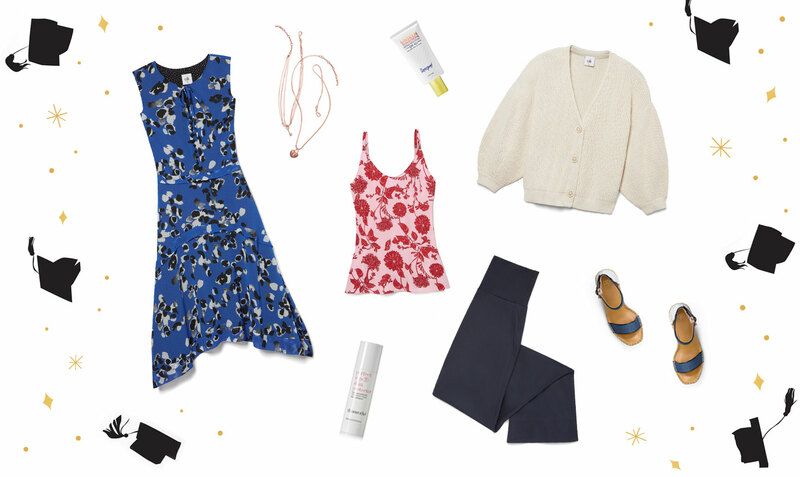 As you take down those magnets one by one, take this short quiz to find the perfect outfit for each event. From bohemian-inspired to traditional weddings, we have you covered for all occasions. There’s nothing better than a garden wedding in springtime because we selfishly want our florals to stand out! This is the perfect setting to bring your flowery prints to life. 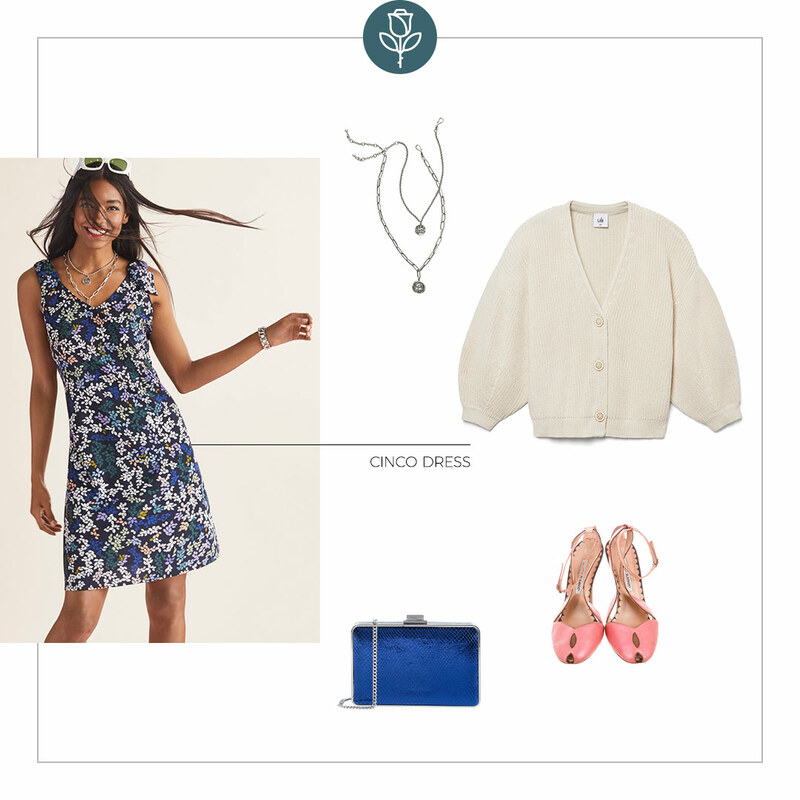 Wear our Cinco Dress with a light cardigan for some shoulder coverage. Pro tip: If you’re going to wear heels, we suggest a thicker one so you don’t sink into the grass. In a more traditional setting? Try our Untamed Dress in an electric blue paired with a black cardigan for a classy shoulder cover. A crystal headband will be the perfect topper and will add a little sparkle to your look. “I do” by the deep blue sea! 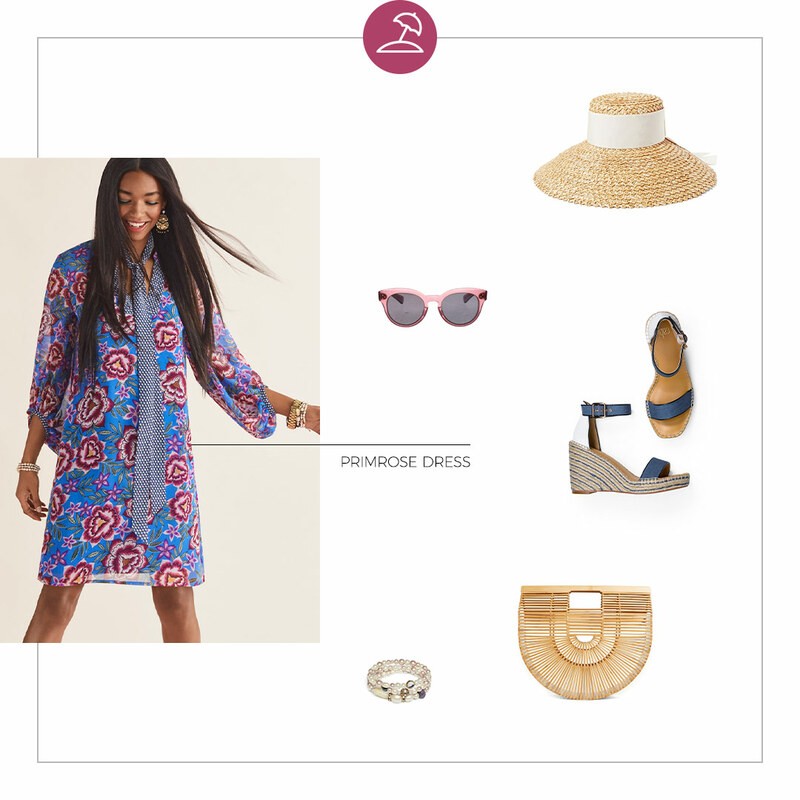 Wear our luxurious Primrose Dress that’ll catch each passing sea breeze with grace. Since you’ll be on the sand, we recommend a wedge heel. Last but not least, finish off this beachy look with a bamboo handbag. For a more casual evening wedding, try our midnight blue Dream Dress. 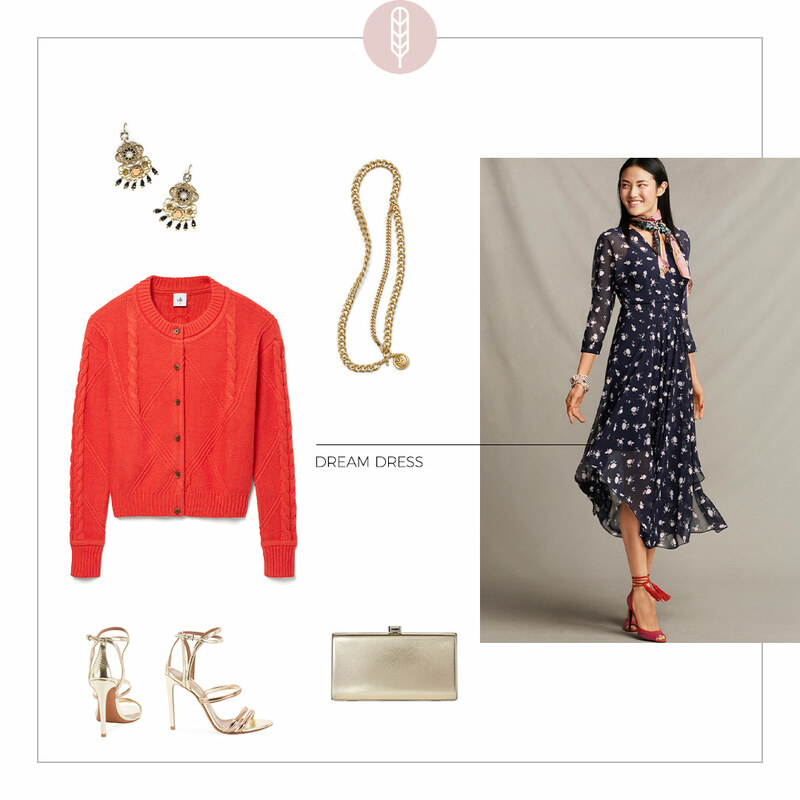 A bold orange Cable Cardigan will be a fun bright addition and will pair nicely with a metallic strappy sandal. 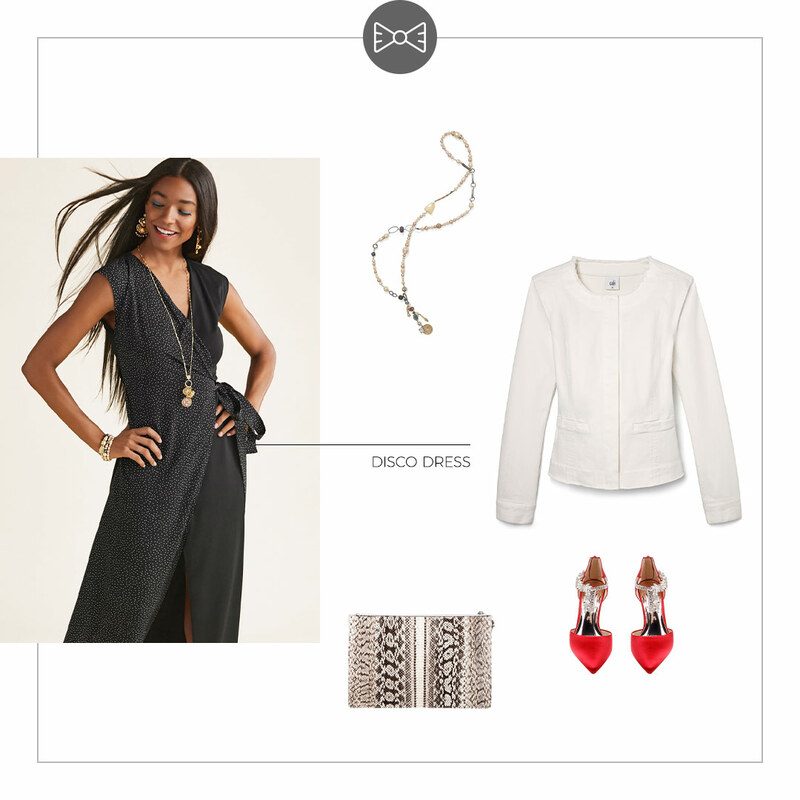 Throw on some glitzy earrings to complete this boho-chic look. Our black Disco Dress is the perfect choice for an elegant evening wedding. Finish off this Breakfast at Tiffany’s ensemble with pearls, red pumps, and a snakeskin clutch. (Psst! Try an up-do hairstyle with this look). Say “yes” to your dress this wedding season! 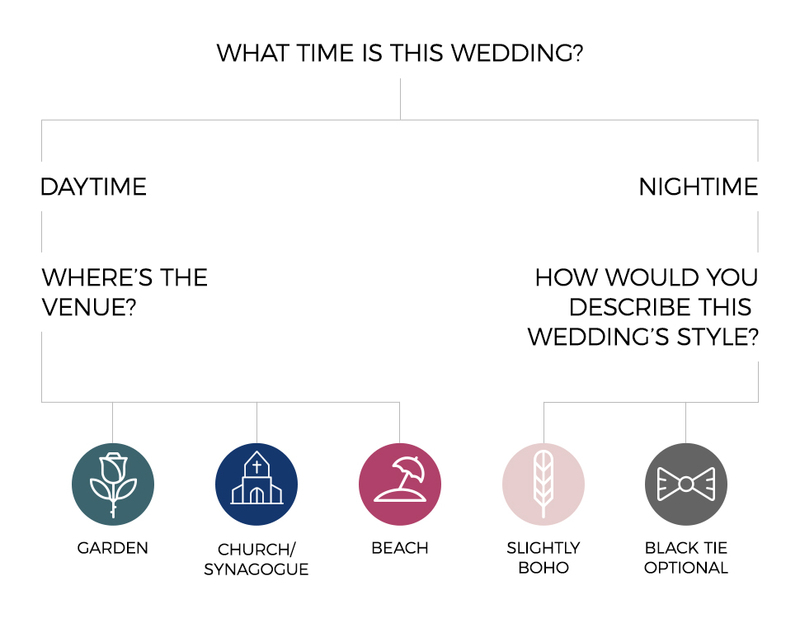 Do you have an upcoming wedding? Let us know what you plan to wear in the comments below. Reminder: those tears of joy will definitely make an appearance, so don’t forget your tissues and some waterproof mascara.